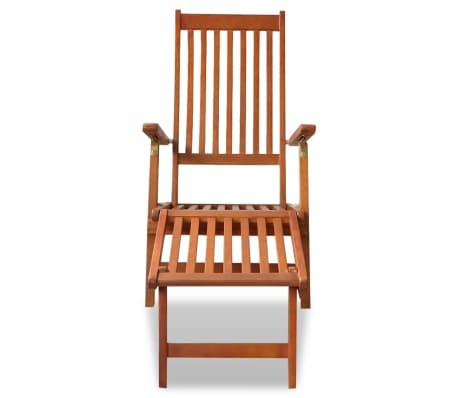 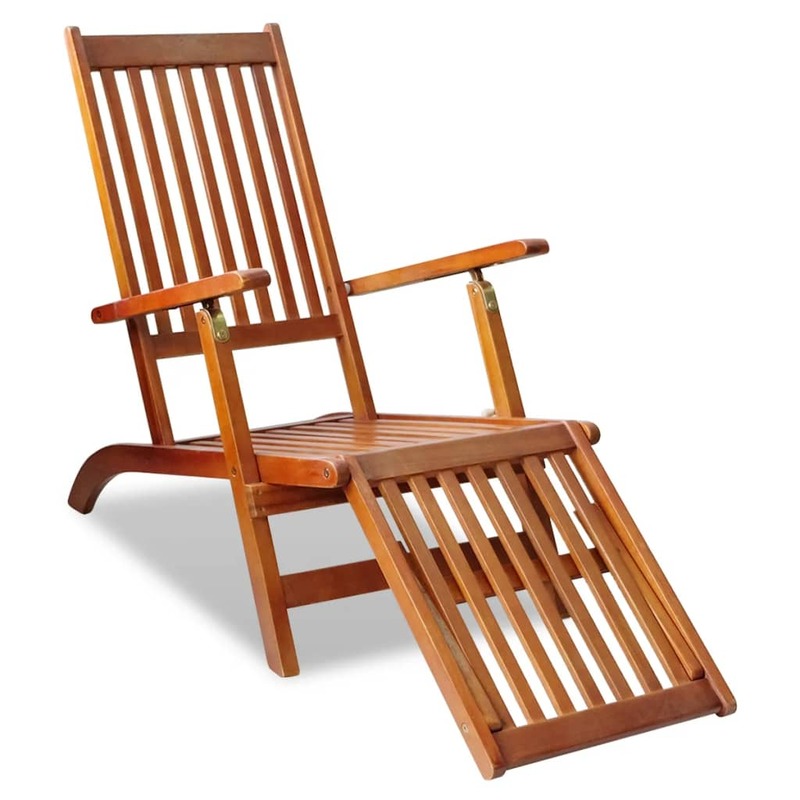 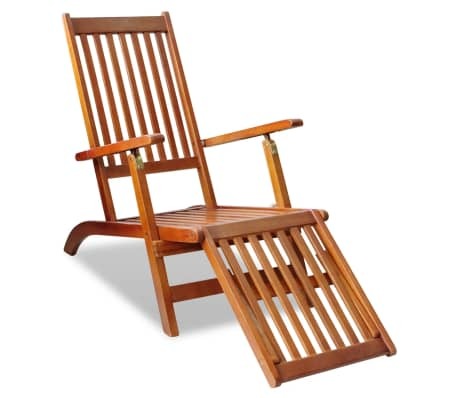 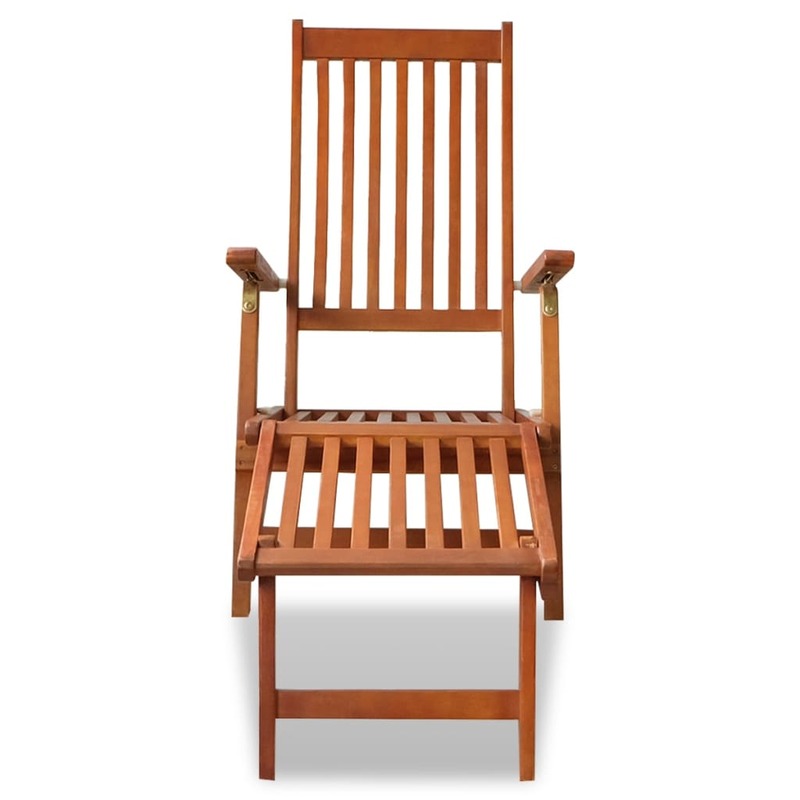 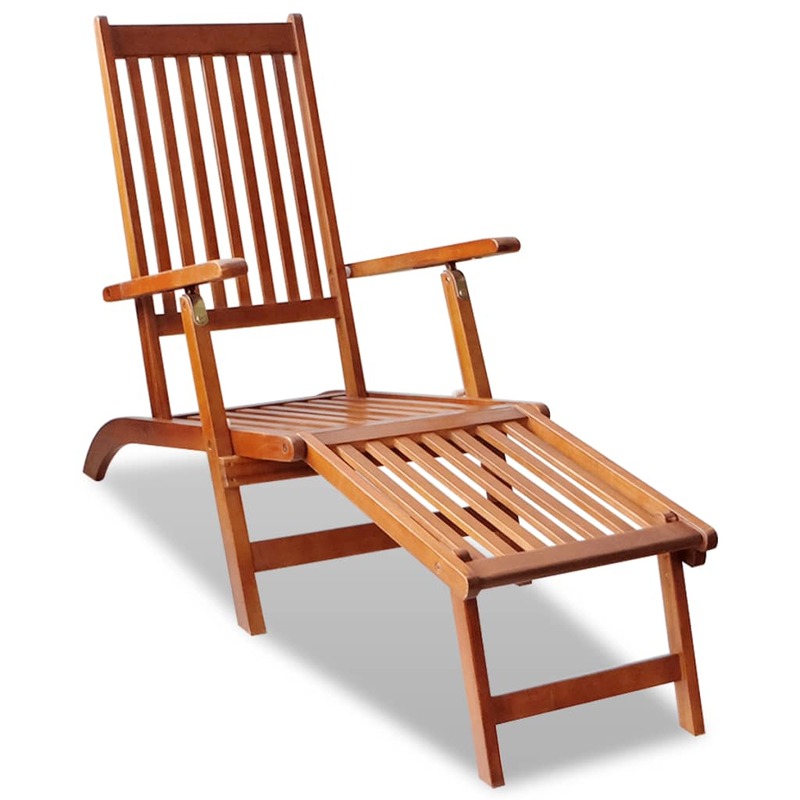 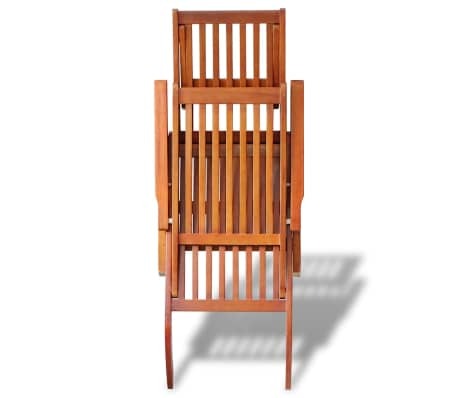 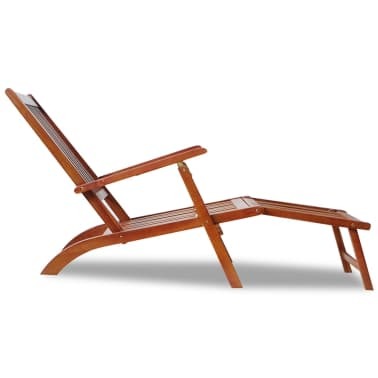 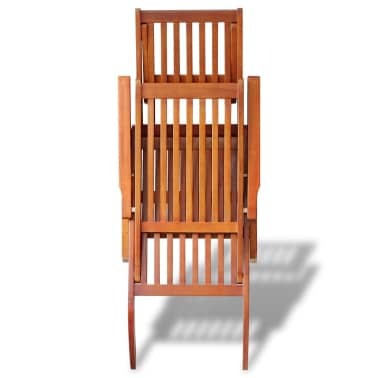 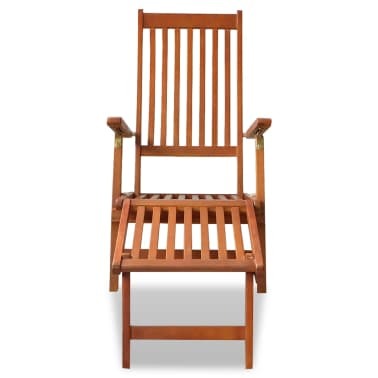 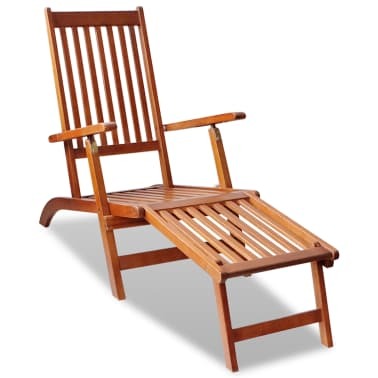 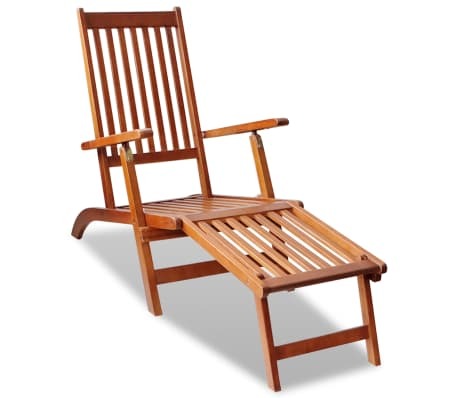 Our acacia hardwood deck chair will give you a comfortable spot to relax on your patio or in your garden. 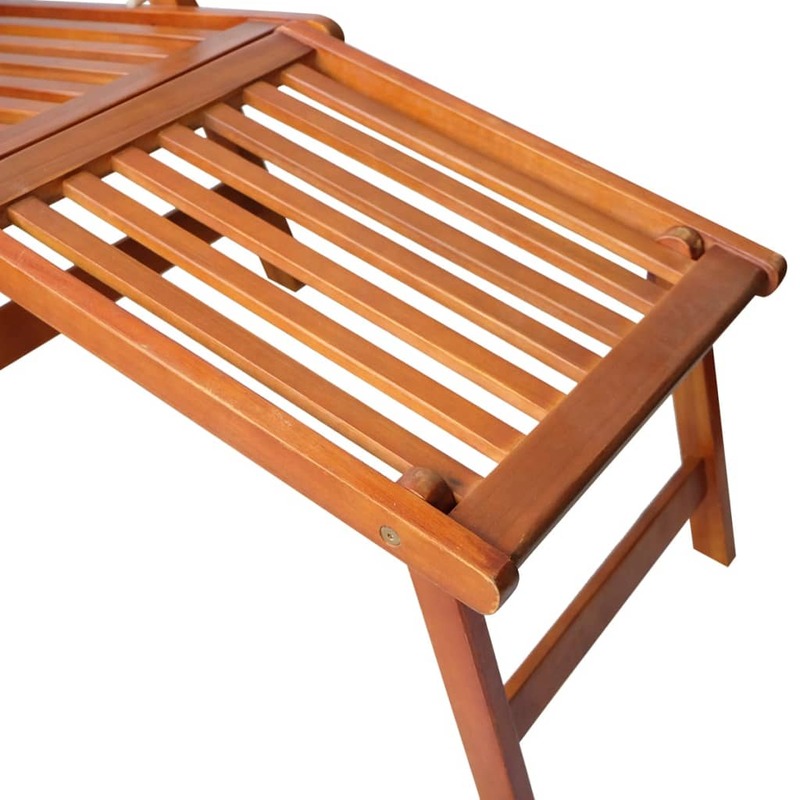 The unique wooden structure is inviting and exudes a rustic charm. 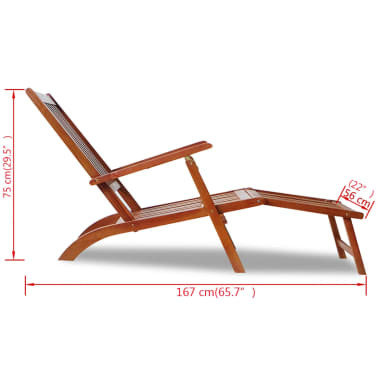 The sun lounger is made of high-quality acacia hardwood, which is characterised by excellent weather-resistance and durability. Being weatherproof, the chair is suitable for both indoor and outdoor use. 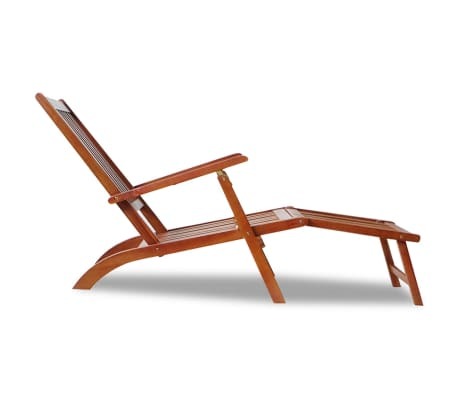 The lounger can be adjusted in 3 positions. 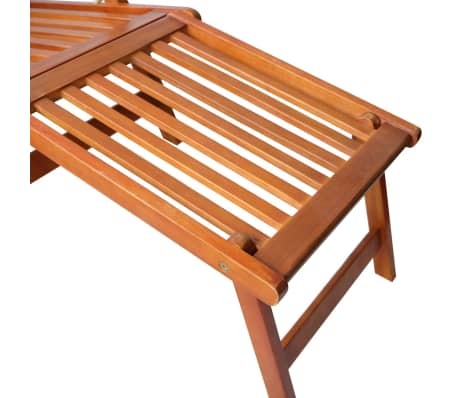 The chair can be folded away when not in use. 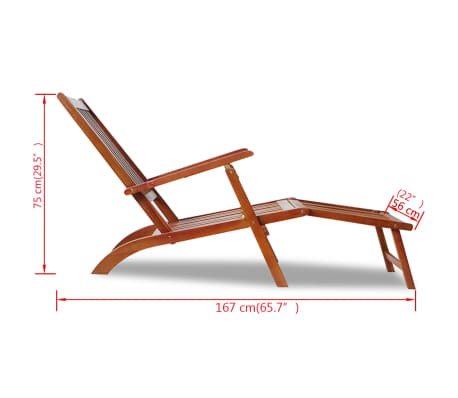 Ergonomically designed, this sun lounger will offer great support and be the perfect companion on sunny afternoons.